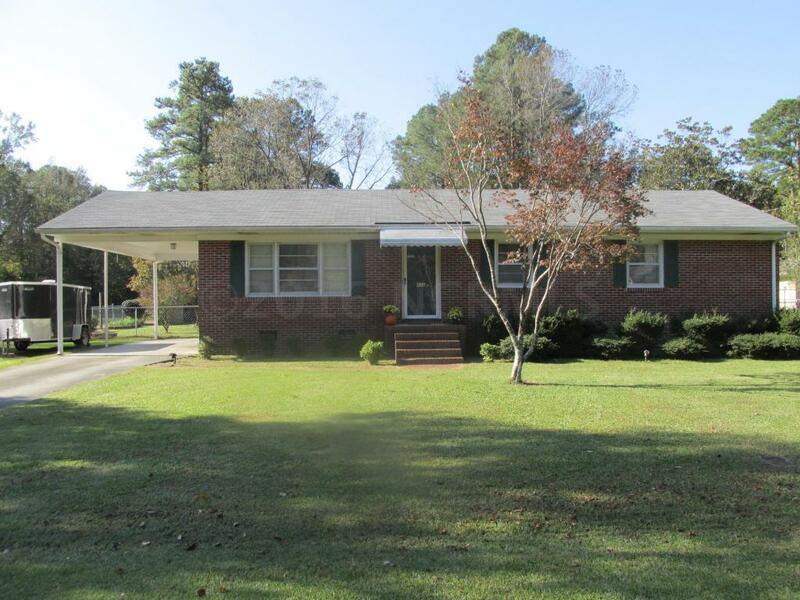 Wonderful cozy 4 BR, 1 1/2 bath home located in Grifton. One bedroom is being used for an office. This home is unique with many built-ins, a sunken sun room, separate living room and den with gas logs, hardwood floors, newly remodeled bathroom, outside wired storage building, fenced-in back yard, Trane heat pump 2 years ago and many upgrades. Convenient to Greenville, Winterville, Ayden, Kinston and New Bern. Listing provided courtesy of Pamela Cherry of Century 21 The Realty Group.